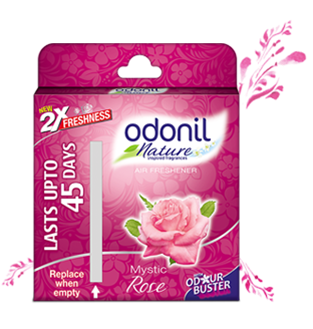 Soak yourself in the enigma of rose petals and feel the enchanting aroma with Odonil Mystic rose air freshener. 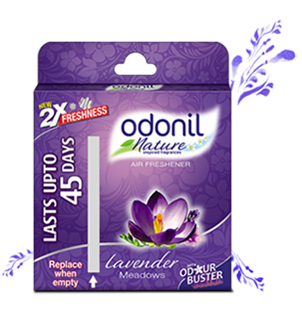 Experience a tinge of lavender in the breeze from green meadows with Odonil lavender meadows air freshener. Explore Odonil room fragrances. Feel the timeliness aroma of Jasmine cascading in a floral mist with Odonil jasmine mist room freshener. 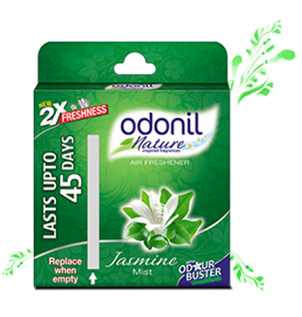 Odonil Jasmine fragrance is widely considered as one of the top rated air freshener.Room freshener spray in Jasmine fragrance is on the best aroma. 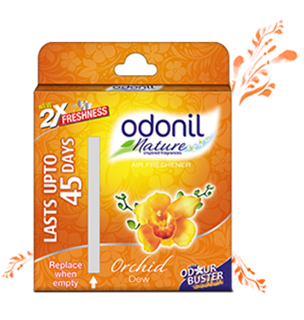 Enter the exotic world of orchids, laden with fresh morning dew with Odonil Orchid dew Air fresheners. Odonil Orchid fragrance is widely considered as one of the top rated room freshener.Room freshener gel in Orchid fragrance can instantly transform the mood in your house.